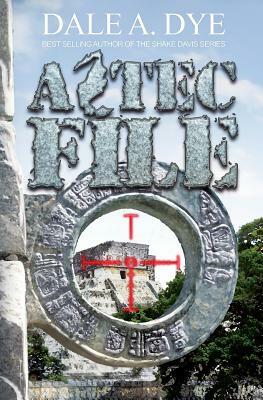 Shake Davis is back Retired Marine officer Dale A. Dye returns with the seventh novel in his popular, award-winning "File" series: Aztec File. It's time to Shake, rattle and roll. When a former Marine and retired Texas Ranger drops by with evidence indicating terrorists are training south of the U.S. border, Gunner Shake Davis is more than a little interested in the back story. Determined to investigate the situation himself, Shake and his team head south across the Rio Grande where they discover a deadly connection between Middle Eastern terrorists and Mexican drug smugglers. Following a trail that snakes across Texas leads Shake directly into a deadly confrontation with a truck-bomber at a high-stakes rodeo in Ft. Worth. Shake's intervention prevents a large-scale massacre, gains him un-wanted nationwide recognition. . . and puts a skilled Zeta assassin smack on his trail. When the situation threatens his family, Shake Davis reverts to close-combat mode to stop the terrorists in a blazing gunfight that echoes across the Texas plains. "No one knows more about ground war and warriors than Dale Dye, and no one writes it better." --Stephen Coonts, New York Times bestselling author of Liberty's Last Stand.